Now You Too Can Achieve Online Marketing Success Within A Matter of Days with 80+ 'Over the Shoulder' How to Videos by Your Side!" The problem is that making money online initially can seem very costly, confusing and down-right difficult for those just starting out. The gurus make it seem so easy and it seems like loads of people are making a fortune whilst you’re being left behind. The Good News is That You Can Now Make Money With Zero Startup Costs! We realized that information overload and money was unfortunately an issue that was holding people back from actually getting started so we put together a system that teaches you the five most complete and proven online business models that require absolutely no investment. We take you from market research to setting up a profit stream all for no cost! You’ll Get Your Hands On Over 80 Content-Rich Videos That’ll Show You Exactly what you need to do! Once we mastered this system we wanted to make sure we presented the materials in an easy to follow formula so you can actually follow along. We have put together over 80 powerful videos that show you every step of the way how to be wildly successful online without having to invest anything at all! Introducing The Teach Me How Home Study Course! Right now you’ll get instant access to over 80 how-to video tutorials that teach you how to apply the most powerful business models online to date. Go through all the videos in one pass, watch what you need, re-watch videos that are harder to grasp then apply them. Learn at your own pace and get it right first time every time! By the time you’ve mastered every technique in this course you’ll become your own guru! If you don’t have a personal coach by your side then this is easily the next best thing! Affiliate marketing is one of the most popular business models online. The problem is most beginners enter this business only to find that it’s not as simple as grabbing an affiliate link and spamming the web. This module walks you through step-by-step the process of setting up a successful affiliate campaign from start to finish. The beauty of this is that once you’re successful in this area, you can start developing your own products for the same niche and scale your business! Lesson #4 – How to build an basic affiliate site with Wix. You’ll learn to build sites are mobile friendly as well so they work great across all phones and devices! Lesson #6 – Simple traffic generating strategies to get your affiliate marketing campaign going! List building is one of the most under-rated business models and greatly mis-understood by beginners as they continue to ask the question ‘is email marketing dead?’ Far from it! Not only will you learn how to build your own niche list but you’ll discover how to do it using a free system so you can eventually be the one making 100s with every email promotion you send out! Once you’ve mastered the art of affiliate marketing and list building the next logical step is to scale up your business and start developing products of your own! In this module we’ll walk you through the entire process to getting your first product researched, developed, fleshed out, written up, decorated, uploaded, launched, promoted and so much more! This is the most important module in this series and is definitely not to be missed! Lesson #1 – An introduction to product creation and why it’s the most profitable long-term strategy you can make. Lesson #2 – How to do niche research correctly. There’s no point creating a product that people don’t want to buy – whether or not you think your product looks good. Lesson #3 – We’ll look at what kind of products you can create, what sells, how to format your product, how to break it down in chapters, how to present your product and much more. Lesson #4 – See how we scan the web to see exactly what type of products are already selling well within our niche! This is intelligent marketing that will save you months of testing and guesswork. Lesson #5 – Discover how to write excellent sales copy that speaks to your visitors on an emotional level and helps sell your product all year round. Lesson #6 – Discover the power of having a high quality virtual covers created for your product. 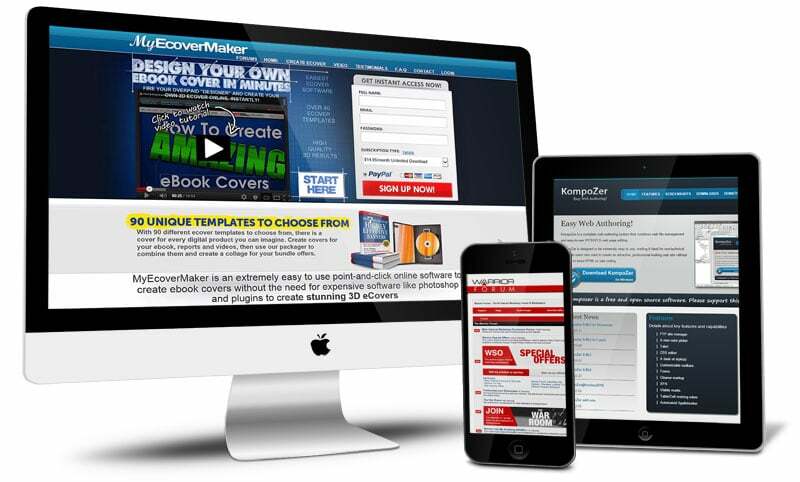 We’ll reveal powerful tools that will help you create realistic looking covers that sell. Lesson #7 – Watch closely as we take you by the hand and create a simple eCover from scratch. Lesson #8 – Discover how to accept payments online, what solutions are available and which ones are the best to use and why. Lesson #9 – Understand the real reason behind list building and why you’re not just creating a product to make sales. Lesson #10 – See how to setup a auto-responder account to build your list with a free provider. Lesson #11 – Watch us as we create a web-form and set up all the variables correctly. Lessson #12 – Now it’s time to build a squeeze page and embed the web form code generated from the previous lesson. Lesson #13 – Discover how to create a simple download page to deliver the product to your customers in a professional manner. Lesson #14 – See how to create downloadable zip files for your thank you page to deliver content to your customers. Lesson #15 – Watch as we develop our offer further and allow affiliates to help promote our product for us with the JVZoo network. Lesson #16 – Discover how to create a compelling sales page and host it on third-party sites. Lesson #17 – See how we create a new sales letter and host it using JVZoo’s hosting solution. Lesson #18 – Learn how to create a simple payment button and what options you need to edit. Lesson #19 – Now it’s time to check everything that’s been done correctly. This is good practice for when you come to launch your own product. Getting everything working 100% helps maintain and solid reputation with your customers and affiliates. Lesson #20 – Now that you’ve got your product and site live, it’s time to launch it! Discover the best sites and methods you should be using on to get your offer noticed. This knowledge alone can have a dramatic affect on your sales. Lesson #21 – To keep the sales coming in you need to promote your site on a consistent basis and continue to product fresh new content. Discover the best techniques to use and what free sites will give you the most return. Lesson #22 – After you’ve been through this entire process you’ll be an expect product creator in no time. In this final lesson we’ll talk you through ways to scale up and what services you should invest in for the future. Without a doubt traffic is the life and blood of your business. No traffic equates to no sales period. It’s not just a case of getting traffic, but sourcing it from the right places so that the people that do visit your site are there for a reason. This entire module is dedicated to helping to tap into every free and powerful resource to help you promote your site. Lesson #2 – Keyword Research – Discover how to ‘sniper’ your way to customers buy picking keywords that attract buyers to your business – not window shoppers. Lesson #3 – Squidoo – See how we create a new lens on Squidoo and link back to our site to boost our rankings. Lesson #4 – Hubpages – Watch how we take advantage of Hubpages’ site presence to generate more traffic. Lesson #5 – Free Blog Live Journal – See how we create a new post on Live Journal for free. Lesson #6 – Article Submissions – Discover how to write and submit quality articles that get read, boost your rankings, and get people clicking through to your website. Lesson #7 – Facebook Pages – Watch as we create a Facebook Page to generate traffic from within Facebook which will in turn lead to our website. Lesson #8 – Twitter – Discover an easy process to setup a Twitter account, post short snippets of content, build a following to harness the power of social media. Lesson #9 – Pinterest – Watch this video as we walk you through the process of setting up a Pinterest account and adding image content that cleverly promotes your website. Lesson #10 – Google Plus – See how we use Google Plus to promote almost any content we have online to give it that extra traffic boost. Lesson #11 – RSS Submissions – Discover how to submit your content to an RSS Feed directory so that any new content you create gets syndicated through more sites. Lesson #12 – Answer Sites – Not only can you use Answers sites to get traffic but it’s a great way to see what your niche market is really interested in, and what problems they face. This is a great way to get in tune with your potential customers before they’ve even seen your website. Lesson #13 – Forum Marketing – Discover how to find niche forums witihn your market and post valuable content that not only promotes your sites, but ensure you don’t get banned for spamming! Lesson #14 – Press Release Marketing – Press Releases are a great way to announce your new blog, a new website, a new product and more. Watch this video to see how to submit content to this platform like a pro. Lesson #15 – Document Sharing – In this video we’ll walk you through the process of submitting quality content to document sharing sites. The beauty of this is that these sites require you to have more web presence which only increases the quality of traffic you’ll receive. Lesson #16 – Classified Advertising – Use this free advertising platform to drop a link to your free eBook, to your video, to your blog, your affiliate link or more. Watch this video to see how and which sites are worth your time. Lesson #17 – Guest Blogging – This method is a great way to reach a new audience, build your brand, network and build links to your site. We’ll show you how to do this properly so you’re more likely to be accepted from other blog sites. Lesson #18 – Blog Commenting – This is another great way to get yourself in front of relevant readers, generate a new source of traffic and build your presence online. If you’re not using video in your business you’re losing out on not only free traffic but sales! Not matter what your experience online creating a video does not have to be difficult nor does it have to be a skill reserved for those ‘in the know’. This module will take you by the hand and show you how to create lively presentations, on-screen recordings and info-videos that you can submit to video sharing sites for massive amounts of traffic! This video marketing business model is so simple you won’t believe you haven’t done it before. Lesson #1 – We’ll start off by giving you a quick overview of the process of a successful video marketing campaign. Lesson #2 – Next we’ll focus our efforts on a specific niche. This will determind what kind of videos will be made, what content should be included, what keywords to target and much more. Lesson #3 – After this we’ll start brainstorming and video sites for existing videos to help us develope our own ideas. Lesson #4 – Now we flesh our the campaign and decide on a few videos we will be creating and what topics it should cover. Having a solid plan here will make things easier when you come to make your videos. Lesson #5 – Watch this video to see what free tools we use to create professional videos fast! This is a great money saver that can potentially save you $1000s in outsourced fees. Lesson #6 – In this video we’ll introduce you to a free tool called OpenOffice, and how to get it and install it on your PC. Lesson #7 – The images you use in your presentations will have a massive impact on your video. Discover the process we use to get royalty-free images. Lesson #8 – Discover how we use OpenOffice to create powerful slides which will eventually be paired with audio to make a presentation video. Lesson #9 – Recording on-screen is one of the best ways to create engaging tutorials, demonstrations, presentations and more. Watch how we use a tool called Screen Capture to do this. Lesson #10 – Next we’ll talk you through the strategy of uploading your video, what keywords to use, how to generate traffic through your description box, how to get it promoted plus much more. Lesson #11 – YouTube is by far the most popular site for videos and is where most of web traffic stems from. Watch this video to see how to upload your videos on YouTUbe correctly. Lesson #12 – Discover how to get your video indexed, viewed by other sites, liked and much more. This is the final step to ensure your videos get the most exposure. Can you write an article?… create a banner?… create a video?… proof-read a document?… write a review?… or perform any other simple task? 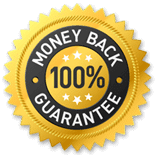 If you need cash now and want provide services for clients to supplement your existing income or start a freelance career as your main source of income now you can! This module covers everything you need to know about starting a successful freelancing business! Lesson #1 – Discover what exactly freelancing is all about, the benefits, how a typical freelancer multiple clients, whether or not this can be done full time, how to launch your business for free and much more. Lesson #2 – Discover several high-quality high-traffic websites that connect freelancers and clients. Discover how to fill out a profile to stand a best chance of getting noticed and how to bid on jobs. Lesson #3 – Increase your chances of getting noticed by optimizing your profile. In this video we’ll cover things like your headline, your experience, how to create a professional photo, what not to include and much more. Lesson #4 – Watch this video as we talk you through the process of bidding for a job. You’ll discover the ins and outs of pricing, what your time is worth and ultimately whether the job is right for you. Lesson #5 – If you’re just getting started and need to build up your reputation quick then micro job sites are an excellent solution. Watch this video to see what jobs are ideal for you. Lesson #6 – Discover how to post a gig on Fiverr from start to finish. Fiverr is a busy network that is guaranteed to attract clients to you when done right. Lesson #7 – In this video we’ll talk you through several forums you can offer your services on too. The added benefit is that a good reputation on the forums will spread far and wide with other forum members. Lesson #8 – Watch this video to see whether or not you need to setup a third party account to accept payments and this will vary depending on the site you choose to offer your services on. 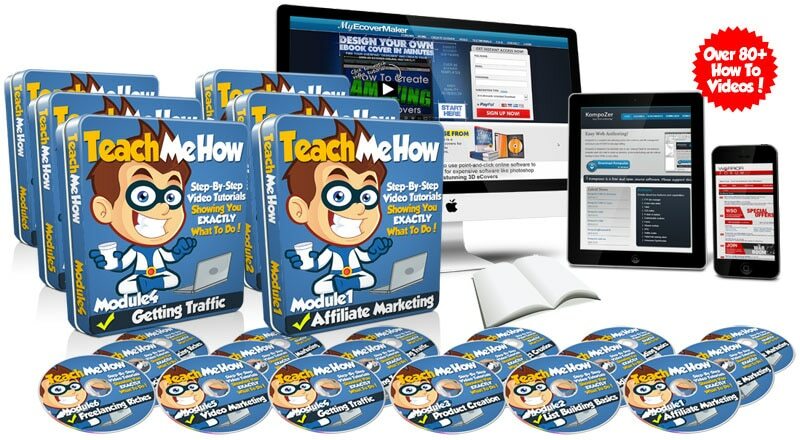 Secure these simple, step-by-step videos and unlock the keys to your online success! Discover 5 proven online business models you can start for no cost! Learn how to scale each business model to full time income plsu so much more!